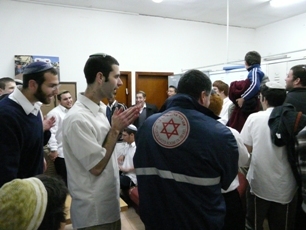 Fifty Yeshivat Har Etzion Hesder talmidim, along with Rav Uzi Friedlich, Mashgiach Ruchani, Rav Amichai Gordon, Ram, and two Kollel families, spent Shabbat Va'Yechi in Sederot with the goal of expressing solidarity with the residents of the city and to help raise spirits. 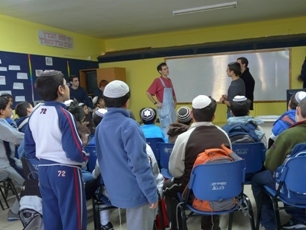 The visit included learning with children in local schools, discussions with residents ("panim el panim") and distribution of snacks (thanks to contributions by Alon Shevut families), a tefilla and "tisch" with the Yeshivat Hesder in Sederot, tefillot in various shuls in the city, activities in the Bnei Akiva branches, and a massive outdoor Melave Malka featuring spirited dancing. 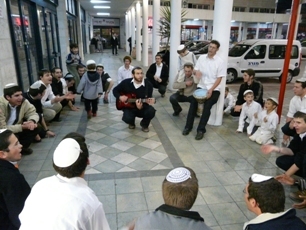 Yitzhak Forer, Shiur Bet, and Binyamin Appleboim, Shiur Aleph, both from Petach Tikva, commented that the atmosphere throughout Shabbat was upbeat and positive. 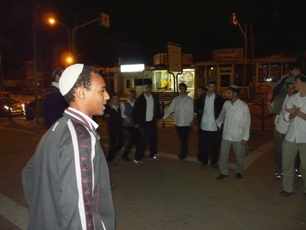 Rav Amichai Gordon noted that being in Sederot enabled us to better understand what it is like to live under the constant fear of falling missiles and to walk down the street not knowing when the Code Red alert might be sounded. 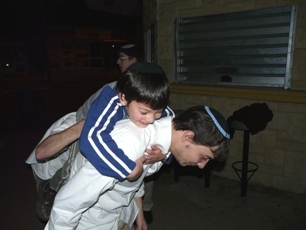 "After Shabbat, we felt a real connection with the people living there, and the talmidim gained a more caring attitude and feeling of involvement, "he said. "We didn't help so much, but just being there and listening to the people was important." On Motzai Shabbat, the group visited the youth club named in memory of Ella Abukasis z"l, who was killed by a Kassam missile three years ago as she shielded her younger brother with her own body. 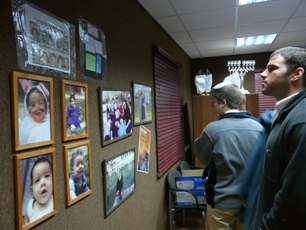 Ella's father talked to the group and talmidim watched a memorial movie and looked at the memorial exhibit.